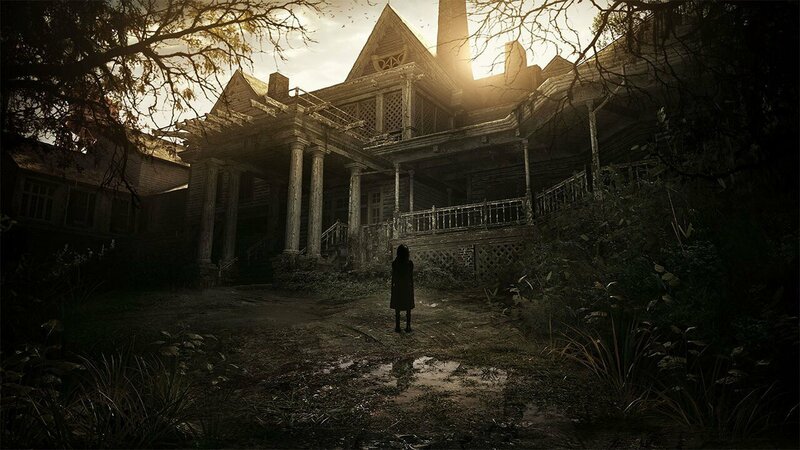 I’ll be the first to say that I was skeptical of Capcom’s return to its survival horror roots with Resident Evil 7: Biohazard. Resident Evil has been a tried and true action-oriented series since the second entry, and for the most part, minus some really C-level plotlines that involved Terminator and Norman Bates stand-ins, the franchise has done its job well. Even the fourth iteration, an experience that most hold up as a paragon of “horror,” had already planted the seed of throwing anything resembling “survival” out of the window. There’s also the case to be made that too many developers have shifted to jump-scare-ridden projects just to garner views on YouTube. 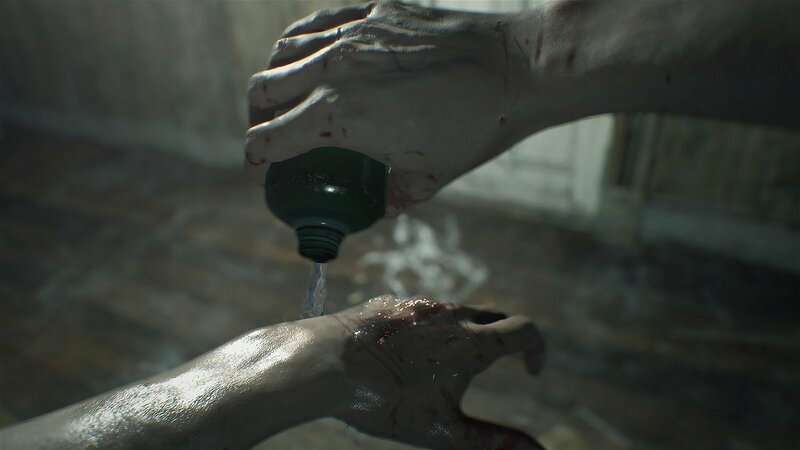 Video game horror is in a really weird spot right now, but thankfully Capcom has shown everyone how it’s done once again with Resident Evil 7: Biohazard. The first hour of the game — while serving as a tutorial — is terrifying, and sets the tone for the rest of the roughly eight hour adventure. Trust me, if you have the means, play it in VR, as the control scheme is perfectly implemented and the VR immersion ratchets up the tension. I’d be remiss to spoil anything in particular, but I can say that Capcom really nails the perfectly blended atmosphere, which relies not on providing stark, direct scares, but more on generating a general unsettling chill through detailed set pieces and master-crafted sound design. At one point the game’s atmosphere creeped me out so much just walking through a hallway that I had to take my VR helmet off — something that’s never happened to me before in my nearly one-year stint with the tech. After that first guided hour, Resident Evil 7: Biohazard gets a lot more hairy and moves into a more “standard” Resident Evil feel. You have your item boxes, herbs, and inventory management, along with collectible-hunting and secret weapon unlocks galore. Yet, the game never reaches the absurd lengths of using spray-tan healing items, as everything remains a little more grounded than is usual for the franchise to go along with the first-person viewpoint. That includes the return of limited ammo as opposed to kitting out players with a Gears of War-like arsenal. Very limited, in fact, as there are even low stack maximums for items, forcing players to pick and choose what they want their loadout to be until they acquire more space by way of sparing backpack upgrades. 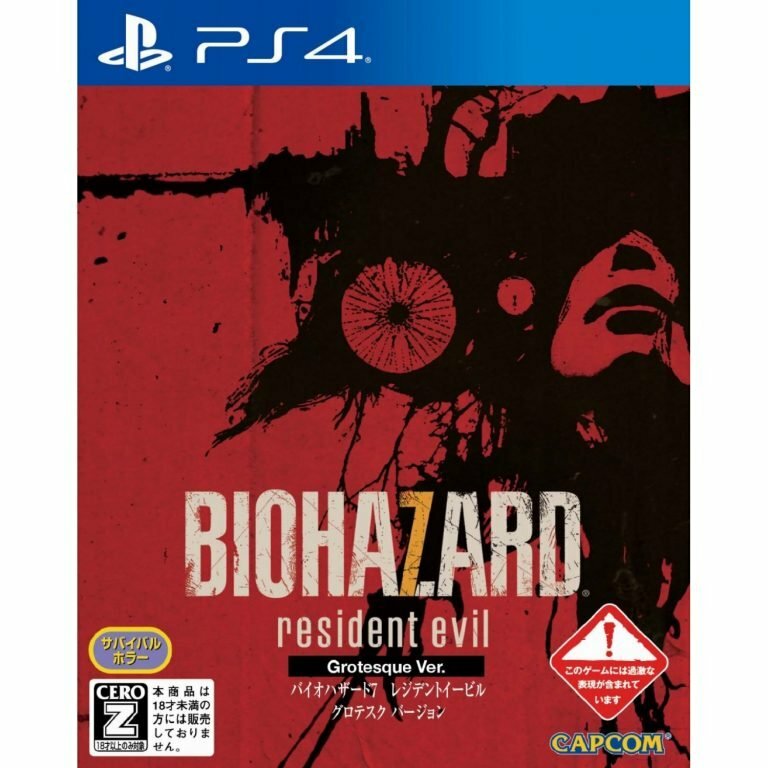 Between that core principle and a mix of other mechanics such as a heavy but balanced emphasis on puzzles, everything comes together to create a game that, against all odds, follows-up the original Resident Evil,. The game wears its western influences on its sleeve, and amidst plenty of other nods, I saw a lot of Sam Raimi thrown in for good measure. The writing is also sound, as it draws you into the lore without ever letting up on the game’s persistent sense of hopelessness. 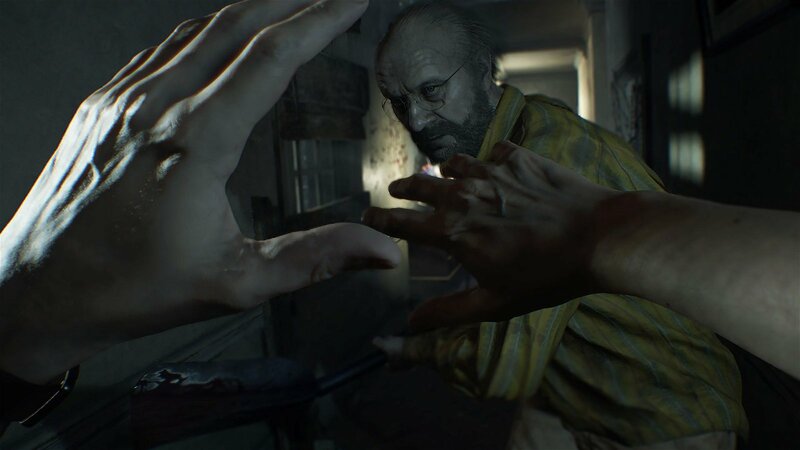 Even though Resident Evil 7: Biohazard moves into some frantic situations and maintains a rather rapid sense of pacing, the game’s main virtue is restraint. When staggering enemies with leg or headshots I was tempted to go up to them and give them a good old Chris Redfield super uppercut, but there’s no anime-inspired melee system in Resident Evil 7. Instead, players can slowly walk around while aiming, and use a block button to avoid some damage. An aiming system, mind, that’s perfectly suited for VR, complemented by fine-tuned sensitivity customizations. 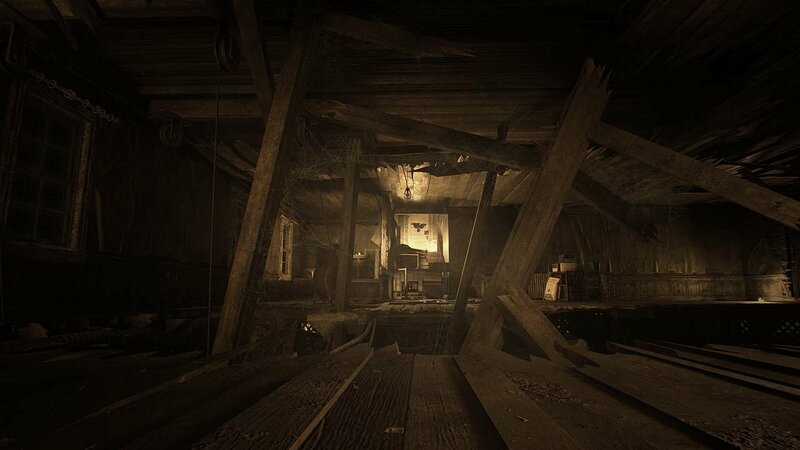 And while Capcom could have played it safe with a “spooky backwoods FPS,” motif, they’ve defied a few other conventions that allow Resident Evil 7: Biohazard to rise above the crowd. Without spoiling anything, there are a few instances where the player finds optional VHS tapes that detail the stories of various people who have visited the property in the past. Instead of just showing you their tales, though, the videos are playable, and often directly impact your future experience with the environment. One video in particular deals with an especially tough puzzle, and the implications of actually watching and figuring out that optional tape impacted me in a way that I had never really experienced before. No joke, I’d play an entire game based around these tapes, they’re that well done. Scenarios also play out differently in real-time, too. In multiple instances I found that NPCs react in entirely different ways after a death, almost adapting to my attempts to thwart them. It’s just one of the many ways that Capcom manages to make the game unpredictable, with a level of effort they haven’t exerted in years. After the first playthrough, there are collectibles to find, and a “Madhouse” difficulty that serves as an arrange mode of sorts. While that should be enough (especially if you do one run with VR and one without), hinging so much on DLC is a bummer, as a few extra unlockable episodes (in true Resident Evil fashion), as well as a Mercenaries or Raid mode, would have made the game feel more complete. Resident Evil 7: Biohazard is far more than the muted “haunted house” trailers have been leading us to believe. It’s not a fright-fest, but rather a macabre celebration of everything the series has accomplished to date. If Capcom continues this formula (and the game sells enough for them to justify it), I hope they don’t just take the same concept and transpose it on top of a “big city” setting like Resident Evil 2 did with Raccoon City and go right back to the goofy action drawing board. If the series is instead going to stick with a return to its survival horror roots, I’m perfectly okay with that. Resident Evil returns to its horror roots, and is all the better for it in a game that was designed to be played in VR.